The Sony Xperia E4g is definitely not a powerhouse and nobody really expects a lot of number-crunching performance out of a budget device. It is powered by a Mediatek MT6732 SoC, which is a mid-range chip, but still better than the MT6582 powering the Xperia E4. Inside it, there are four Cortex-A53 cores, clocked at 1.5GHz and a Mali-T760MP2 GPU. That coupled with merely 1GB of RAM paints a not so optimistic picture. But Sony has really managed to squeeze all they can out of the modest hardware. 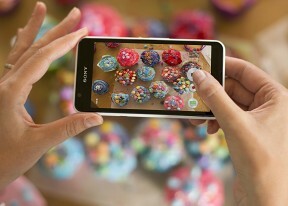 And whatever the Xperia loses on paper, it quickly regains in usability and real-world performance. It runs surprisingly smooth and can definitely be a perfect match for an undemanding Android user, mainly because it is reliable and simply works. That being said, we will try not to be too harsh on the E4g when diving into its benchmark results. It comes as no surprise that they are low, but we have picked out some quite interesting competition to pin it up against and the results were often surprising. Naturally, we have thrown the original Xperia E4 in the mix, just to see how much the hardware upgrade has actually affected performance. The MT6732 isn't particularly popular, so there isnâ€™t really any way for us to pit the E4g against a hardware doppelganger. First up, we have the raw CPU performance test with GeekBench 3, so things should be pretty straightforward in this department. As we mentioned, we have devised a budget league for the Xperia to wrestle in and the MT6732 really holds its own. Here we see the E4g is on top of the food chain with a veritable lead, leaving its non-LTE sibling in the dust. Ig has shown more muscle than the Moto G and Moto G (2014), both running the Qualcomm MSM8226 Snapdragon 400. This is quite understandable, as the once widely-spread SoC is equipped with four Cortex-A7 chips, but clocked slightly lower at 1.2 GHz. The situation is even clearer with the Moto E, which utilizes the same A7 cores, but only has two of them. Interestingly enough, Sony has two other, quite similar Snapdragon 400 phones, both powered by four Cortex-A7 cores - the Xperia E3 and the Xperia M2. Both are in pretty much the same price range as the E4g and one is even its direct predecessor. AnTuTu is a compound benchmark, which also takes into account RAM and GPU performance. Here we see pretty much the same arrangement. The Xperia beats the two Moto G's and its predecessor, as well as the Samsung Galaxy Core Prime and Xiaomi Redmi 1S, which proved too much for the Xperia E4 to handle. The Galaxy Core Prime, with its Qualcomm MSM8916 Snapdragon 410, along with an Adreno 306 GPU definitely puts up a good fight and is following close behind the E4g. The performance difference is almost negligible and seeing how the price tags are pretty close as well, it really comes down to choice, at least as far as raw performance goes. Basemark OS II is another all-round benchmark. It gives an overall score along with single, multi-core performance, math performance and more. We focus on the overall score and the dedicated CPU scores. The Xperia E4g is at a much more advantageous position than its sibling and, unlike it, is not put to shame by the E3. Interestingly enough, the E4g came in at the number one spot for both single-core and multi-core performance among similar-priced midrangers and yet was still, somehow, surpassed in overall score by the Samsung Galaxy Core Prime. But, frankly, itâ€™s a pretty close call. Seeing the results and the amazing improvement over the Xperia E4, naturally, we suspected some cheating on Sony's part. But after we took the necessary precautions and reran the anti-cheat version of Basemark OS II, we safely ruled that out. The Xperia E3 used to outperform even its successor, but this, however, is no longer a concern with the Xperia E4g. Sony has really put a lot of effort to improve performance in this version, which, mind you, is not only more-capable than its sibling, but also comes with LTE connectivity. Moving on to pure graphics tests, the chipset of the Xperia E4g really starts to shine compared to the E4. The Mali-400MP2 is really not up to par and gets blown away by the competition. The Mali-T760MP2 inside the Xperia E4g, however, works a lot better. It is still no powerhouse, but, at least it doesn't fall short of the Adreno 305 inside the Xperia E3. As it turns out, all of the other contenders in the test are powered by some implementation of the Adreno 305, except for the Moto E, which runs the Adreno 302. Utilization by the respective SoCs is obviously quite different, resulting in significantly different results. 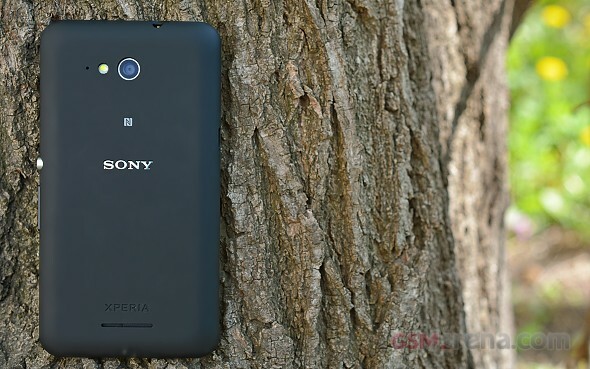 One thing is clear, the Sony Xperia E4g may not be acing any benchmarks, but is a definite and much-needed improvement over the underwhelming performance of the Xperia E4. Even better still, with this improved spec sheet Sony has managed to top a lot of its direct competitors and that's a veritable achievement in itself when working on such a tight budget. All in all, the Xperia E4g provides solid and smooth Android experience and will do OK for the occasional game. Unfortunately, heavier 3D games may not run well or at all because of insufficient RAM and poor GPU or both. But you can't really expect anything more from what is essentially an entry-level device, albeit a pretty feature-rich one. The reality, however, is that being a budget device, the Xperia E4g is quite ok at what it does and certainly better than the E4. And if you don't intend to use it for more than web browsing, watching the occasional video, listening to music, or playing some Angry Birds, and, of course, messaging and calls, then you'd be good for quite a while.